Main purpose of this report is to analysis Violation of Labor Law in Construction Sites. This report gives an idea about the provisions of labor law that are complied with any construction project. Other objectives are get a comprehensive idea about what provisions of industrial law and labor law are complied with a construction project. Finally find out the about the degree of practice of safety issues for the workers in a construction site and explore the reasons behind discrepancies between application and regulations. It has been found that there are significant, pervasive violations of core workplace laws in almost every construction site. Workers are being paid less than the minimum wage and not receiving overtime pay. They are working off the clock without pay, and not getting meal breaks. When injured, they are not receiving workers’ compensation. These problems are not limited to some unknown developers it was found that both large and small employers violate these laws. With ever increasing price of necessary commodities, the issue of minimum wage is serious one. Employers are mostly hiring the day laborers and these workers are letting their employers to violate their rights because of their status as temporary workers. This report will try to give an idea about the provisions of labor law that are complied with any construction project. It will highlight the violations of labor law 2006 .The report will provide a comparative analysis of the existing law and the actual practices regarding these laws and analyze the legal implications of these violations. The report will provide the reasons for the violations of these laws and also provide recommendations to avoid these violations. The report has been formed on the basis of the information gathered from management and workers of different construction sites. The report has covered the violations in the construction sites regarding labor and industrial law. An analysis regarding the violations of different provisions of labor and industrial law has been included in the report. It is the law which deals with the legal rights of and limitations on working people and their organizations. As such, it looks at many features of the links between manager, trade unions and employees. Labor law started because the workers demand for suitable environment, right to organize, and the instantaneous demands of employers to limit the powers of workers’ and to keep labor costs low. Employer’s costs can increase such as health and safety conditions. Labor rights have been essential to the social and economic growth since the industrial revolution. The law was introduced to specify clear rules on the terms and conditions of the job, to ensure good relationship between the owner and the workers, to specify a minimum wage structure, to ensure that the workers will be paid for any damages to them. But in very few instances these rules are followed. In many construction sites there are many workers dying due to the negligence of the authority but the family of the worker is getting nothing as compensation. Safety of the workers is not ensured according to the law. Though there are instructions in the labor law for the invigilation on part of the government but not much is taking place in reality. Based of the information gathered, the report has analyzed the status of application of different sections and sub sections of the factory act. In a construction site there are always concerns about removing dust from the work place which may be harmful to the workers. In most of the cases nothing is given to the workers to be protected from dust. But in very few instances the employers do provide the workers with gloves. But the statement of the management and the workers are different in this regard. Labor demands that most of the time management do not provide any precautionary products. Only some specific day they provided those and this product are very limited in number. So without this precautionary product their working in construction sites is highly dangerous as well as harmful for body too. In almost every construction site the lack of sufficient latrine is quite visible. Almost every construction sites have either one or two latrines for ten to fifteen workers which is highly inadequate. Even though the latrines are supposed to have proper ventilation system but the actual picture is very different. Latrines are very small, proper lights are not ensured and ventilation is very poor. Many of the latrines are very dirty. Though in the labor law, 2006 there are provisions to ensure clean toilet but the management is doing nothing to ensure cleanliness. In the labor law, 2006 it is clearly mentioned that these latrines are to be cleaned with proper antiseptic. But the practice is clearly violating the law. The latrines are very dirty and they is no step to ensure clean latrines by management. Though every establishment should contain sufficient number of spittoons but in any of the construction site it was not found. Workers spit in open area, sometimes within the building which is a very harmful practice. Even though there is one or two spittoons in the area but that is not proper for the number of workers that work in the construction site. Also there is supposed to be a notice which would state the provision and the violation of this provision shall amount to punishable offence shall be prominently displayed at suitable places in the premises. But that was also not found. Those workers who work for a company, but are not hired on to the company with a full-time or part-time position, are considered temporary employees. In Bangladesh the workers who work in construction projects are mainly day laborer. They are hired through contractors. These temporary workers do not receive all of the benefits a permanent employee would. Many employers are manipulating with this status of temporary workers and severely violating the worker’s rights. The laws state that a temporary employee must be paid the minimum wage but unfortunately the big developers in Bangladesh do not even bother to follow this law. So many instances the management just give them what the think is enough and the workers do not have a say in that. The reason of the worker’s weakness in this ground is their status of day laborer. As in Bangladesh day laborer is quite easily found the employers do not bother about the stay of their workers. If some leaves then others will come and they will be forced to accept what the management gives them. There are violations of law even when paying the wages to the workers. It is in the law that intervals can’t be more than one month and the wage must be paid within the next seven working days but many workers have complained that they are not paid within due time. It is the duty of the contractor or the owner to make sure about the payment but many occasions the contractors violate this rule. Even the due wage of the dead workers are not paid properly to his family or nominated person. The law is that the company must pay the wage of a dead worker to his nominated person or if no one is nominated then the issue should be taken to labor court. But by visiting construction sites it has been learned that owners are reluctant to abide by this law rather they give a fixed amount as payment which sometimes is less than the due wage. workers which may be caused during the work. The payment is a must for the owners unless some specific scenario arises. In many construction sites of Bangladesh due to poor safety measurement by the authority, physical damage to the workers is not uncommon. In these sorts of situations the owner is suppose to pay compensation to the worker. Unfortunately the owners or the contractors do not even bother to pay compensation and even if they do they pay a very small amount to the worker and some times the worker gets to loose his job. Another issue of this compensation is the time of the payment. Even though use of child labor is strictly prohibited in the labor law but that doesn’t stop the employers from using them. In many construction sites children under the age of 12 are seen lifting heavy materials and engage in construction work. The employers don’t even bother to consult registered doctor over the age of these children. In situations where the employer is in doubt over the age of the worker then he should rely on a certificate issued by a registered doctor. But in these sorts of situations employers do not really take this option rather they engage those workers. Even for the teenage workers certificate is required over the suitability of the work for the person. That certificate can only be issued by a registered doctor. But very seldom employers test these teenage workers in this way before employing them. There are other provisions in the law to save the teenage workers from harm. It is been stated in the law that these teenage workers can’t be engaged into works which require fuelling machineries. This provision is violated also in many construction sites. Many of these teenage workers are forced to do these prohibited works. There are also provisions which specify the time limit for a teenage worker in a construction site. A teenage worker can’t work more than 5 hours a day and more than 30 hours a week. The time and duration of a teenage worker must be mentioned in a notice board. The rules for the weekly holidays are supposed to be same as for the adult workers. Many instances these provisions are violated by the employers. In many construction sites these teenage workers are working more than 8 hours a day and 6 days a week which is a complete violation of the law. In construction sites where teenage workers work notice board regarding their time and duration of the work was not found. It is in the law that every factory will be provided with such means of escape in case of fire as may be prescribed. But in Bangladesh except for some high profile construction projects the safety issue against fire is not well addressed. It is true that in a construction site there are less chance of catching fire than other factories but complete ignorance to this issue by management is a violation of the law. There has to be coordinated plan during the construction period to avoid casualties if fire catches in the construction site. During the construction especially of the larger buildings there are no alternative stairs or ladder which can be used as quick exit. Law states that a free passage-way giving access to each means of escape in case of fire shall be maintained for the use of all workers in every room of the factory but during the construction period there is only one stair to leave the building which is very dangerous in situations when fire catches. Complete ignorance on part of the management is visible on this matter. The construction site must have a audible system which can alarm the workers during emergency. Unfortunately this system is absent. It is the duty of the management to ensure the training of the workers on escaping during these kinds of emergency situations. But by talking to the workers it was found that no such measure had been taken. The workers were not even informed about the exit plan during emergency situations. Even though the law clearly states that if more than 10 workers work in an area these measures have to be taken by the management. (c) while any person is employed or working on or near the wheel-tract of a travelling crane in any place where he would be liable to be struck by the crane, effective measures shall be taken to ensure that the crane does not approach within twenty feet of that place. By examining construction sites in Dhaka city it was found that not all these provisions are followed. Cranes and lifts are important part of a construction project. These are important for constructing taller buildings. In the examination the it was found that the ropes and chains used are of good condition. But whether they are properly maintained over a long period of time remains a question. Sometimes thorough examination are not done within every twelve months. According to the officials around the construction sites that were visited, the lifts and hoists are of good condition. But they failed to ensure that they are checked in every six months which is an important criterion. The management is supposed to keep a register regarding the periodic checking of these lifts and hoists. But there was no convincing statement from the management about the existence of such register. One good thing is, these lift ways are protected with gates as per the law. Notice about the capacity of the lift was present around the lift. These lifts did have gates on both sides for landing. The law also states that two chains should be attached to every lifts. there shall, so far as is reasonably practicable, be provided and maintained safe means of access to every place at which any person is, at any time, required to work. During constructions of taller buildings for quick movement workers often use risky options to move. The stairs are not always the safest to move. Bricks and cement bags and iron rods are often found in and around the stairs which hampers movement of the workers. No person shall be employed in any factory to lift, carry or move any load so heavy as to be likely to cause him injury. In construction sites these laws relating to lifting heavy materials are regularly violated. Workers lift heavy iron rods and hammers. Even the teenage workers are seen lifting these iron rods. Bending of these iron rods are done manually by the workers. They put a lot of physical effort in bending these heavy rods which has the potential to harm them physically. such facilities shall be conveniently accessible and shall be kept clean. By visiting construction sites it was found that the bathing facilities are not adequate for ten to fifteen workers. There is no dedicated place to bath, workers bath in open space around the construction site. Even they bath within the building due to the unavailability of proper space for bathing. Also only one or two taps are provided which is highly insufficient for group of ten workers. visit to different sites no such facility was found present in or around the construction site. Generally in construction sites canteens are not available. According to the law canteens are needed where two hundred and fifty workers work together. But maximum of these construction projects of Dhaka city do not require more than 10 or 15 workers. So there is no obligation for the management to build a canteen. Workers take food during their breaks from surrounding hotels. The provision of law states that shelter is required in places where more than 100 workers work together. Since number of workers is lower than 100 in construction projects, this provision is not an obligation for the owners. Though in the law it is explicitly mentioned that no adult worker will be allowed to work more than forty eight hours a week but in practice this limit is not always exist. In construction sites on many situations work takes place even at night. Workers have to work for twelve hours which exceeds the limit of nine hour work per day. So in those week workers exceeds the limit of fort eight hours of work per week. The weekly working hour extends to more than fifty five hours. This is a violation that the management commits in order to get extra work. Fridays are generally the weekly holidays for the workers. Unless some situation occurs where some other day was given as holiday, Friday is given as holiday. Sometimes during the process of construction daily observations are necessary. So in these situations some workers are assigned to work and are given holiday on some other day of the week. Management generally gives breaks to the workers two times a day. Workers are given lunch break at about 2pm. When the work extends to night the workers are given a break during afternoon also. But many workers have complained about the lack of breaks during summer time. According to the law a worker must be paid double the normal amount that he earns in normal time. But the contractors or owners do not really follow this particular law. The workers are paid overtime but this amount is a fixed amount set by the owners and certainly this is not the double of the normal amount. By collecting information from the workers it became clear that owners are generally reluctant in paying the due overtime. Some developers do provide their workers with due overtime but many contractors do not really follow this rule strictly. But when caretakers where asked about this ticket they could not confirm the existence of the practice of keeping such tickets or registration cards. As mentioned previously, the violations are caused mainly because maximum workers are temporary workers. Most of the workers are day laborers. These day laborers are very poor and they do not bother about what the law says rather they are more concerned to get some money. Also the lack of knowledge about their rights do not help to improve the situation. Even the contractors keep a blind eye to the rights of these laborers. Many of them do not even know what the law says about the rights of the workers. Unfortunately large developer companies do not really follow the important provisions of the law. One of the big reasons is the lack of inspection from proper authority. Law has given enough power to the post of Chief Inspector, Inspectors and certifying surgeons. These persons are responsible for monitoring the practice of factory law in construction sites. Unfortunately the authority is not active enough to enforce the law. Also the authority is often accused for corruption. The practice of worker’s right in Bangladesh is in very bad condition. Due to the poor knowledge of the rights the workers are often cheated by the management. Even the people in the management don’t have proper knowledge of the rights of the workers. So awareness level must be raised among the workers and in the management. But the important thing is the inspectors have to be engaged to ensure the proper application of the law. Corruption has to be cut down. A monitoring system can be developed to ensure the performance of these inspectors. Law has an important role to play in promoting workers safety. Legal rules establish standards that factories should provide and others must meet and also deter practices that fall below an accepted standard. Principles regarding the labor law ensure the worker’s rights and give the workers a chance to get his due rights from the management. Labor law, 2006 and Factory act, 1965 ensures important worker rights. Recent legal developments help to encourage a culture of openness between the owners and the workers. But this is only a start. The discrepancies are still quite big and time will be required to ensure the application of these two laws. 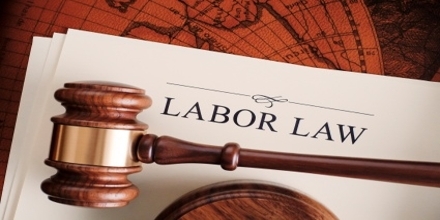 The law is an important tool which should continue to be used to ensure the worker’s rights. Though with improved provisions in the labor law, 2006 the law has become wore powerful but still the monitoring on government’s part is something which requires further attention.